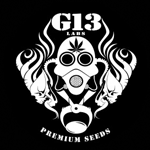 G13 Labs - Blue OG. Free US delivery. 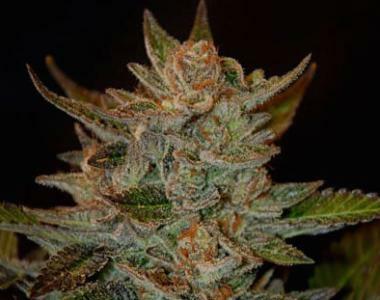 A cross between a Blueberry F3, Blue Moonshine, and a potent Kush/Thai Indica hybrid that has achieved truly legendary status in the USA - OG Kush! Its short, very compact stature and very vigorous growth stage make it perfectly adaptable to any size growroom and growing method. High resin production begins a few weeks after the start of flowering and, when dried properly, the buds acquire a delicious red berry taste with citrusy hints. This makes it one of the best strains for hash and oil extraction as the results are abundant and the taste and aroma, sublime. At almost never more than 8 weeks, flowering is quick, making it also highly suited for outdoor growing in climes that require early cropping.